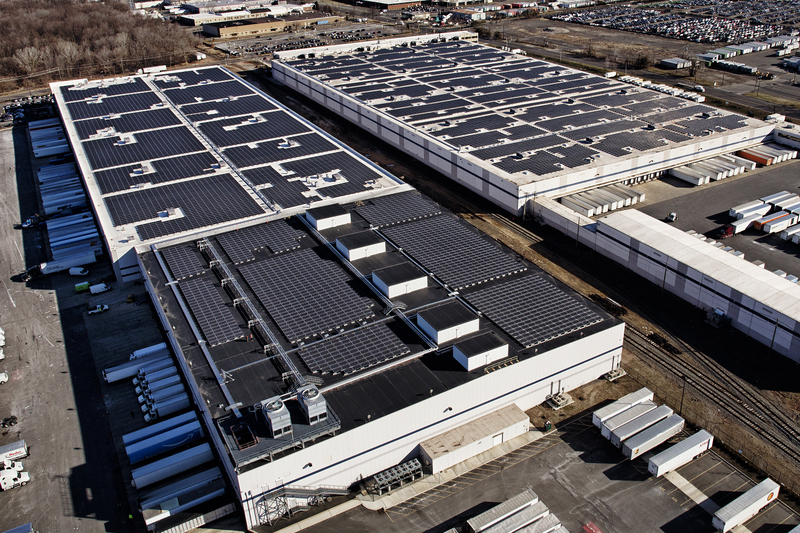 Amazon is looking to improve its renewable energy track record, with a new project that will see it install large solar energy gathering arrays on the rooftops of many of its global fulfillment and sorting facilities. The plan is to start with 15 system installations in the U.S. by the end of this year, with a longer-term plan of putting them on about 50 buildings by 2020. The initial 15 solar projects will generate a combined output of around 41 megawatts. Individually, one facility’s solar array could provide it with around 80 percent of its energy needs annually, Amazon says, depending on how much sun exposure it receives, what kind of installation Amazon’s able to do, and what operations the facility manages. One concrete example Amazon provides is of its Patterson, CA fulfillment center, where over 75 percent of the building’s 1.1 million square feet of roof will be blanketed in solar panels, which will then help power the hundreds of Amazon sorting robotics within. Amazon’s green energy initiatives include wind and solar plants across various states that provide power to its AWS data centers, and the company says it has committed to projects which will eventually generate 2.6 million MW of energy from renewable sources in total. Despite its commitments, Amazon received criticism from environmental watchdog Greenpeace, which said in a report in January that the ecommerce provider still lags behind Apple, Facebook and Google in terms of its renewable energy promises and projects. Solar installations will help defray its use of power from the grid and improve its energy record overall, but Amazon will still need to invest in large-scale dedicated purpose energy generation facilities to address Greenpeace’s larger concerns.